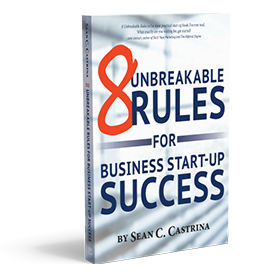 Hi, my name is Sean and I’m a serial entrepreneur, having started my first company at age 23. I have not stopped since. I’ve created more than 15 successful companies ranging from retail, property management and development, direct mail, and consulting, to home services. 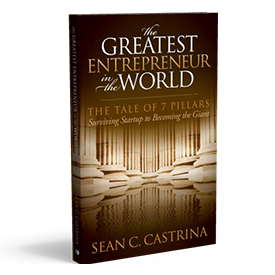 I’ve authored multiple books and resource for business owners and entrepreneurs. I started a business in the service industry several years ago. I hit critical mass a couple of years ago. Then started listening to your podcast and realized how I am doing it so wrong. Your podcast has inspired me to brand, start a training format, and hiring people. Thank you for so much rich information and inspiration! I’ve got some amazing resources for you to learn from. Take your next step! Announcing our newest tool in the box for the successful entrepreneur, the Eday app! Eday was designed to help Entrepreneurs learn and apply the daily habits used by the most successful people. To get a copy of 20 Questions (with answers) to Ask Before Starting Business, fill out the form below. In addition to your free report, you'll receive weekly podcasts, tips directly from me, event announcements, and more! SEND ME THE FACT SHEET! Thanks! Check your email and enjoy your free report and video! **I will not share your information with any third party businesses. For a limited time get my latest Webinar "How Entrepreneurs Should Think" for FREE! Please provide your email below to unlock access to this FREE webinar and other valuable content TODAY. Plus! Receive my FREE REPORT: 20 Questions (with answers!) You Should Ask Before Starting a Business. Success! Redirecting to your video!